I took down the photo of me and my big sister who I consider a role model. The picture of my mom wearing a sombrero on her birthday a couple years back. The picture of me pretending to play drums with my mouth wide open because I’m laughing so hard. The black and white picture of me looking dwarfed next to the word “BELIEVE” painted on a wall, and the photo of Ricks and me displaying satisfied, mimosa-induced smiles after her birthday brunch last year. 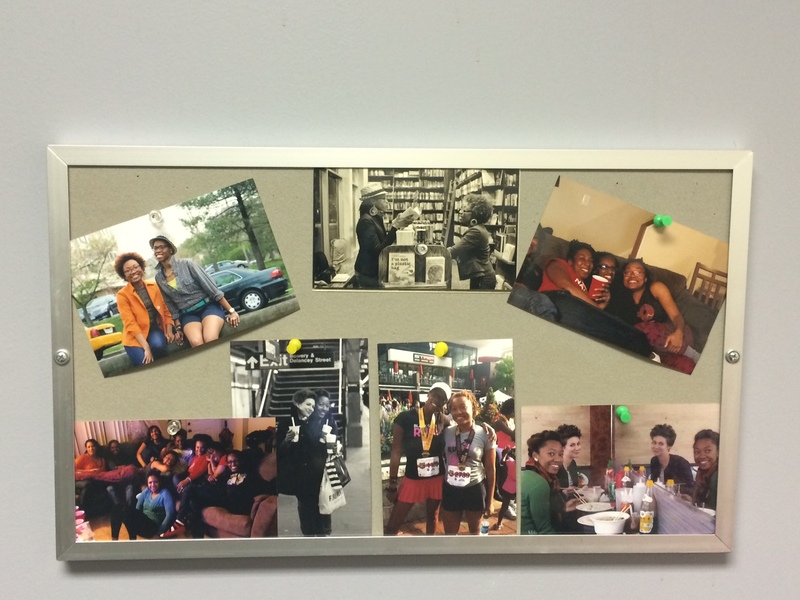 Then finally, the photos of friends-turned-family tacked to a tiny board behind my desk. It is my last day of work, and it is official. I am moving to Memphis for a new job.I am SO glad I don’t share an office or work in a cubicle, because I had a good ol’ cry session this morning. I have to admit. This is hard. D.C. is the first home that has felt like home; a place where I feel like I could live permanently. And even as I type that, I remember the essence of a quote from Dr. Maya Angelou where she says she doesn’t believe that one can never go home again, because you always carry home with you. Well, since I can’t carry ALL of the D.C. with me, I’ll carry a few things: memories of late night/early morning conversations, new friends that feel like soul mates, wine-filled nights, tattoos, and bonding. I’ll carry the person I am into a new adventure that will continue to shape the person I’m becoming. Memphis….another adventure. Join me, yes? Categories: Uncategorized | Tags: adventure, friends, moving | Permalink. 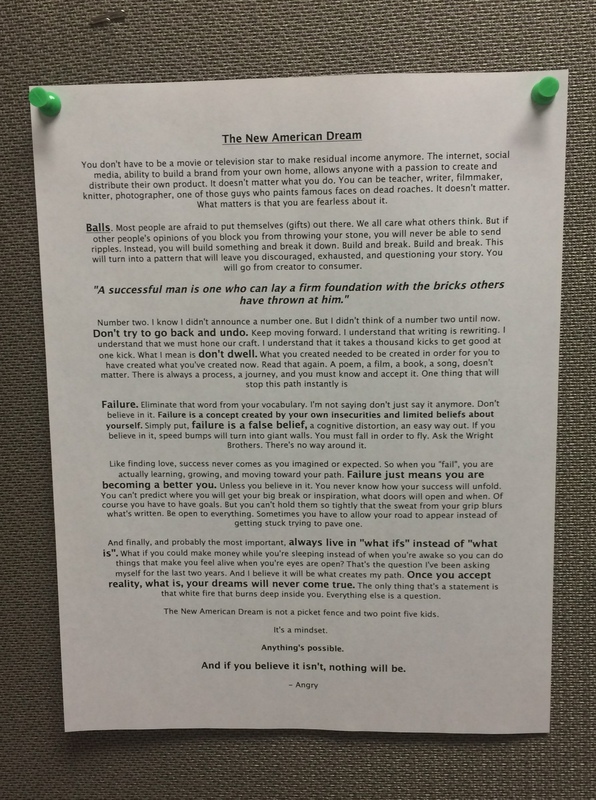 I love the “New American Dream” flyer. It’s so true. Best of luck in Memphis! Thank you! I took that from The Angry Therapist on facebook.